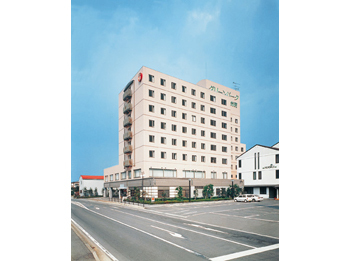 This hotel is only 10 minutes away from the Suzuka Circuit and other sports facilities. It is also conveniently close to the port and places to enjoy ocean swimming. 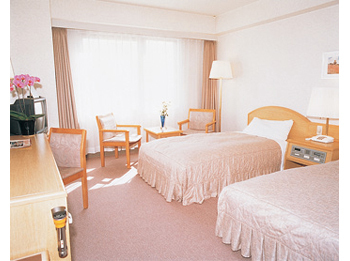 Hotel Green Park Suzuka’s bright, spacious, and clean guest rooms have made it a favorite among business travelers. At the Japanese-style restaurant on the first floor, guests can enjoy Kaiseki Cuisine made from a bounty of seasonal ingredients. 7 minute walk from Kintetsu Shiroko Station on the Kintetsu Line. 4 minutes by bus from Shiroko Station on the Kintetsu Line bound for Suzuka Circuit, get off at Shiroko Koko-mae, 1 minute walk. 3 minutes by taxi from Shiroko Station on the Kintetsu Line. .